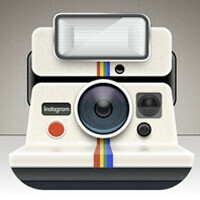 We’ve been hearing that Instagram for Android is “coming soon” for a few months now. Early last month we even got a peek at screen shot making us think it really is coming soon. But seriously, it is coming – really soon. While the app is in private beta, Systrom says that the Android app works great on larger screens, is quick and responsive, and has sharing capabilities with Tumblr, Twitter, Facebook, and other social networks. He also said that the team hopes “to have it out to people really soon,” which, well, ok.
Why is this a deal whatsoever? Same with Temple Run, Apple's flock of sheep get carried away over simple app and game designs and try to rub it in Android user's faces and act like its the greatest thing ever made. Because iFans have nothing over Android users other than apps, so just to keep their esteem up high, they'll brag over any app they have that we don't. yeah ive tried instagram over my wife's iphone and cant see how its better than my fave cam app, camera zoom fx. maybe we need a camera app review comparison article?